Your Dad’s always been hard to buy for but now he might be proving even trickier now that he’s over the age of 50. 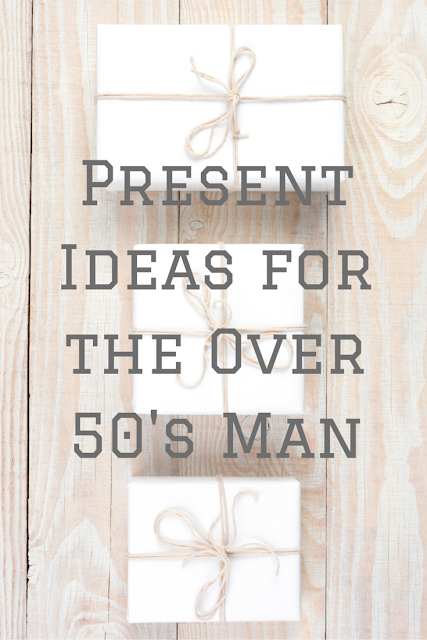 It’s safe to say, once Dad’s reach the big ‘5-oh’ they have everything they want, they probably reply ‘nothing’ when you ask them what they want as a gift and so they end up receiving useless, novelty stuff that just sits around in drawers or on shelves because they have no real use or desire for it. Okay, a trip to the local cinema might not feel like a budget option as they charge a small fortune to let you into a screening but it’s a great gift, especially if your Dad has been waiting for a certain film to be released. Offer to pick up the popcorn and drinks too, to really make it a treat. Does your Dad have an office he likes to retire to at the weekend to work on a personal project or just to read a book? Then dress up his space with some personalised homeware, such as a cushion with his grandkids' faces printed on it or a photo mug featuring a whole family photo. It’s something he probably doesn’t own already and he can easily make use of it. PhotoBox has some great photo printing options available. You can grab subscription boxes now that are hand delivered to your door, featuring everything from geeky merchandise to ingredients for meals. If your Dad likes dabbling with new recipes in the kitchen then check out this list of great food-based boxes offering everything from hot sauce to Thai food. Most are around £15 a month and you can sign up for just one box or a three-month subscription. Does your Dad still have a huge collection of vinyl 70s classics that he wishes he could play? Then pick him up one of these great record players that he can pop on the sideboard and croon along to on a Saturday afternoon. Does your Dad have a bucket list that he’s yet to tick off? Is a thrilling experience such as race track driving or a trip in a hot air balloon on that list? Then make his dreams come true and sign him up for an experience day you know he’ll love. Red Letter Days or Virgin Experience Days are the best places to go when it comes to affordable gifts and you can sign him and your Mum up for the treat or make it a parent/child sort of deal. When it comes to present ideas for men over 50, stick with one of these ideas and ensure he has the best time unwrapping or experiencing your gift! Happy Homes: How Clean Is TOO Clean?